What do you think of this small, but not tiny house, which stands out for the siding that carries all the way up the roof, as well as the simple overall structure complimented by the patterned exterior texture. 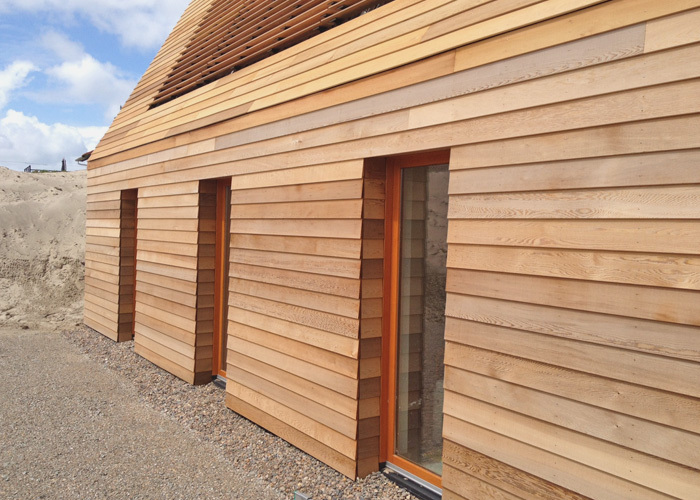 The structure includes Syberisch Larch rafters as a basic element. 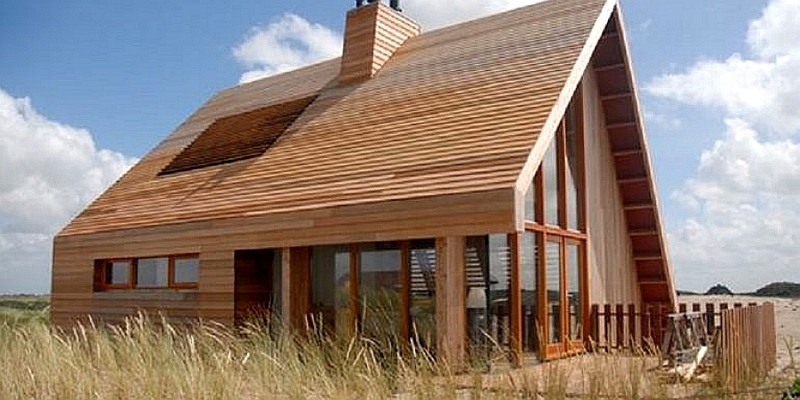 Furthermore, this small house is completely built of timber. 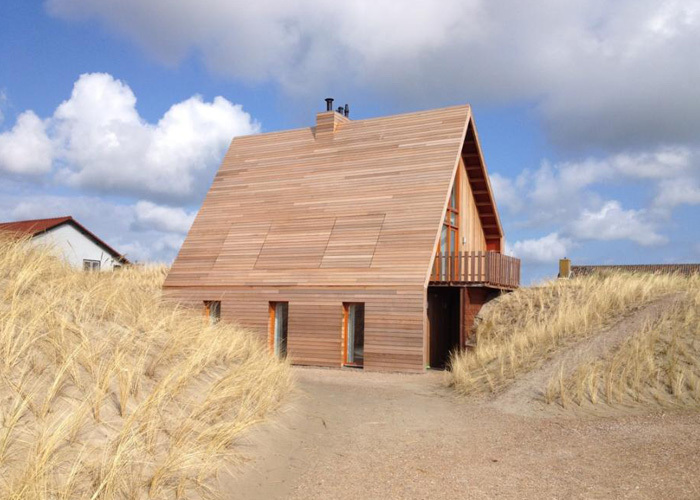 External walls and roof are clad with western red cedar parts which will turn gray over time and thus will blend in even more with the surrounding beach grass. There are also large glass sections in the roof, which go over the wooden parts in movable blades, and which in the closed position seem to disappear in the lining of the roof. These design features for this small house are probably the ones that stand out the most upon first impression of the exterior. And these are all things that can also be added to a prefab house or modular house design — which is something we’ve been focusing on a lot lately, due to the inexpensive nature of prefab buildings. At the level of the basement there are three bedrooms, a storage room, bathroom and a toilet. This floor can optionally be used separately from the parent spaces. On the ground floor is the living and sleeping area with surrounding terraces for morning and evening sun. 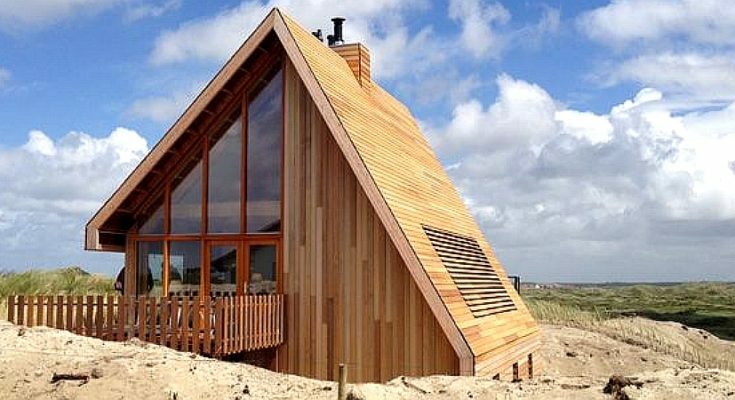 This small house is situated on the North Sea island of Terschelling, in the village of West aan Zee, Achterbosch Zantman has architects, hidden in the dunes, realized a recreation overlooking the North Sea. 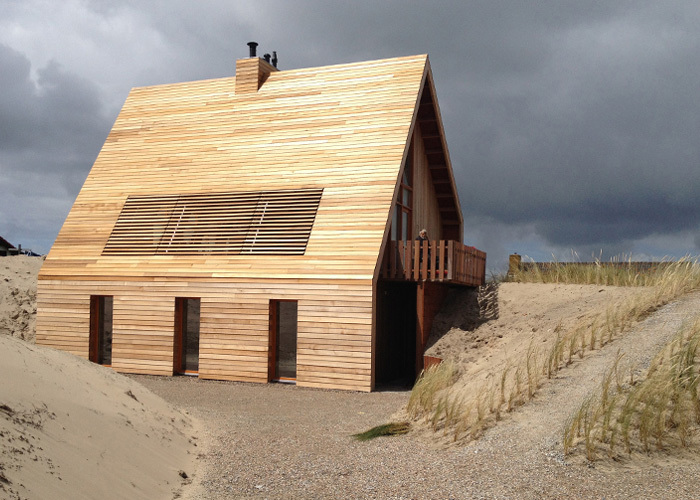 The basement is half hidden in the dunes, making the volume lost in the rolling countryside. The gable roof with its various levels of overhand — the way it seemingly curves on one side over the glazing and extends to the ground on the other side are also interesting design features. The interior is light and spacious as the entire height of the living room has been kept open. The interior atmosphere is determined by the large glass surfaces and the variety of natural untreated wood and clean white walls and ceilings. Natural incidence of light can be manipulated by the opening or closing of the slats. The slats keep annoying sunlight. The large glass surfaces are diagonally glued under the overhangs and ensure an optimal experience of the surrounding dune landscape, the sky and the sea. 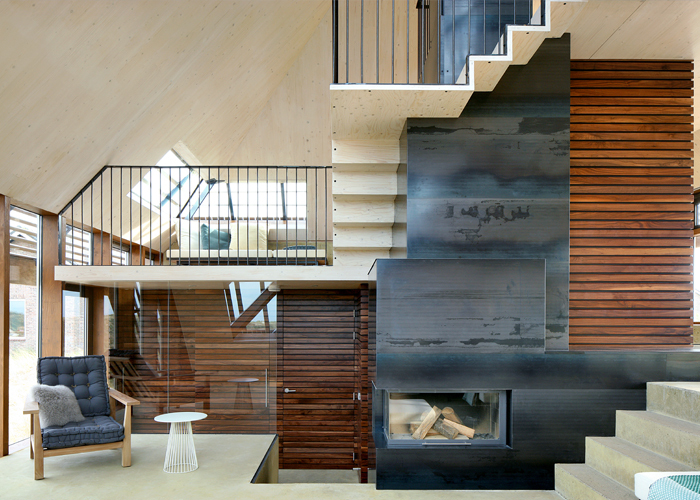 An attic offers space for quiet reading spot and bookcase, and a crow’s nest overlooking the North Sea. To see more of AchterboschZantman’s work, find them in the Building Homes and Living directory.